Portland Thorns FC will look to pick up a win thus prolonging Sky Blue's winless streak. 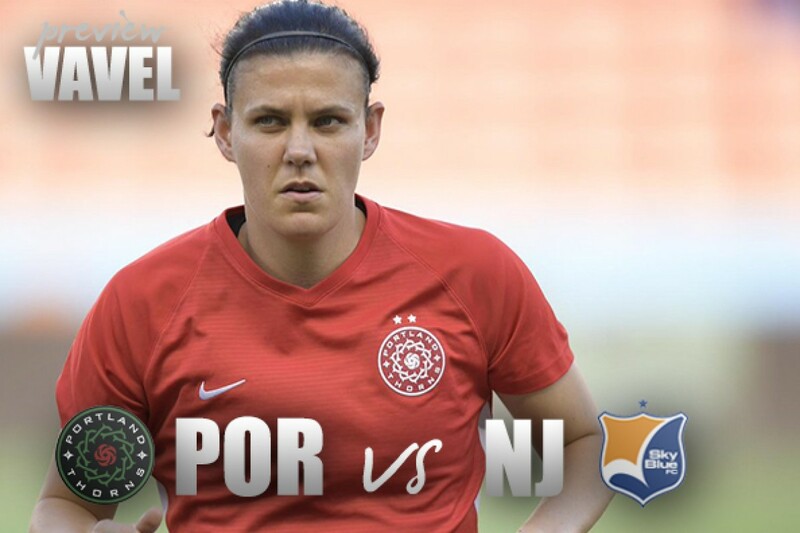 Portland Thorns FC hosts Sky Blue FC in one of three-midweek matches across the NWSL. Sky Blue are still without a win, but last season Sky Blue scored a big win in Portland just over a year ago. On June 17th, 2017 Sky Blue shocked Providence Park with a 3-1 win that included the fastest goal in NWSL history. Raquel Rodriguez scored in just 24 seconds, then Sam Kerr added two more goals. 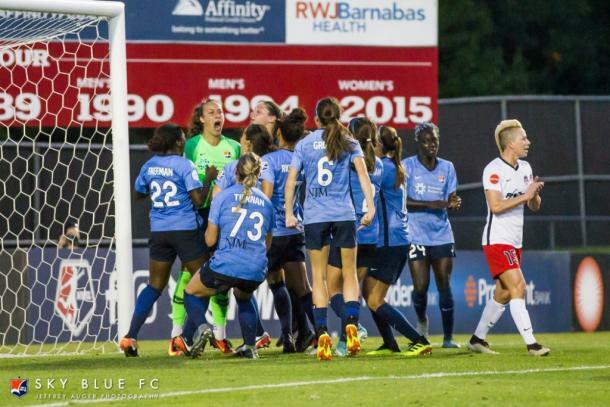 Sky Blue will look to shock the Thorns at home to earn their first three points of the year. Portland has a 5-4-4 record this season, but can easily find their sixth win against the winless New Jersey team. Kickoff is set for 10:30 pm ET at Providence Park in Portland, Oregon. The game will be streamed on go90 and on the NWSL website for those outside of the US. Portland has had to deal with injuries to some major pieces of their Championship winning squad. Adrianna Franch, Emily Sonnett, and Hayley Raso are all recently back from injuries. Tobin Heath is also healthy after an ankle sprain suffered with the USWNT. Heath scored in Portland’s Friday night 3-1 victory over the Houston Dash. Caitlin Foord has arrived in Portland but is still on the injury list with right lisfranc repair. The Thorns acquired Foord’s rights in a three-way trade with Seattle Reign and Sky Blue FC. Foord re-injured her foot in February playing in her native Australian W-League. She was expected to be out for three to four months, but it has been over four months. It is unknown when Foord will make her debut with the Portland Thorns. Foord’s former team, Sky Blue, will be thankful she is not healthy enough to play in their match. There aren't many positives for Sky Blue this season, with just two points in 11 games. If the New Jersey side does not win on Wednesday they will hold the longest winless streak in NWSL. So many times Sky Blue has almost come away with a point or a win, eight of their nine losses have been by a one-goal margin. The New Jersey side has given up 19 goals and has only scored 8. Goalkeeper, Kailen Sheridan, has been a bright spot for this gloomy season. The 22-year-old is one of just two goalies this season to save to penalty kicks, she has also recorded one shutout. Katie Johnson who has two goals and two assists will not be on the field in Portland, per right knee tendinitis. Another missing piece will be defender Rebekah Stott who is out with a back strain. Jen Hoy (right knee sprain) and Amandine Pierre-Louis (right ankle sprain) are also out for Wednesday’s match.